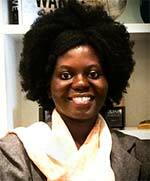 Angela Asante is an experienced bilingual writer from Ghana and a native French speaker. As the website's Digital Content and Social Media manager, she covers major international and club football tournaments online. Angela developed a passion for watching football during her teenage years and built her professional career around it. Aside work, she spends most of her time studying journalism and photography, reading motivational messages and psychology articles, learning about Ancient African history and cosmology, connecting with her family and friends, listening to music and watching classic French movies. Angela also loves humor, good food and traveling. Follow Angela Asante on Twitter @AngieAsante and on Google+.